We, at BreHost, have given our best to create a powerful phpBB-optimized hosting platform. We offer blazing-fast and powerful web hosting servers, a one-click phpBB script installation and a marvelous customer support service. Our phpBB-optimized hosting plans start at $2.75 per month and include a FREE domain name registration. 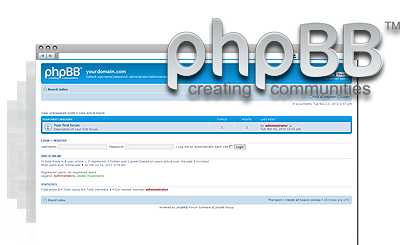 phpBB™ is a registered trademark of phpBB Limited and is not affiliated with BreHost. BreHost guarantees you a seamless phpBB hosting experience! BreHost satisfies and surpasses all criteria for hosting phpBB-powered discussion boards. The ideal hosting plan for a simple website such as a blog or a portfolio. A perfect choice for any e-store or a fairly complex website. With this website hosting package, you can easily launch a quality business site. An excellent choice for housing multiple heavily visited websites in only one shared hosting account.